Not many cars can match the comfortable driving experience of Toyota Highlander. 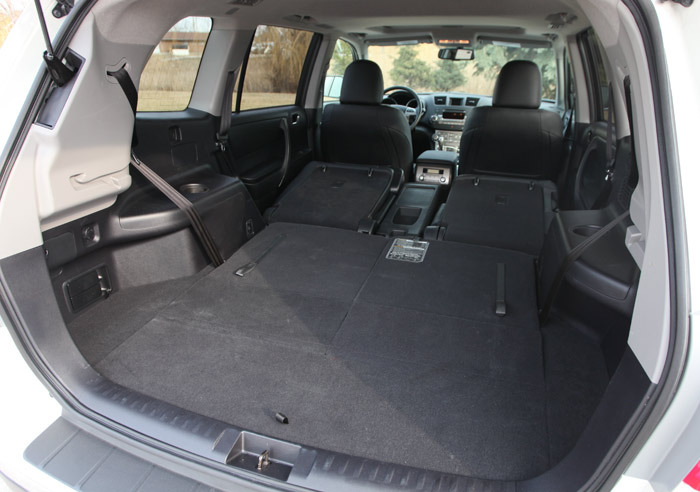 The Highlander is a 5- or 7-seater mid-size SUV. It is powered by a smooth V6 and comes as a front-wheel drive or all-wheel drive. Front-wheel drive 4-cylinder models are also available but rare. The Highlander hybrid uses a V6 engine combined with an electric hybrid drive. 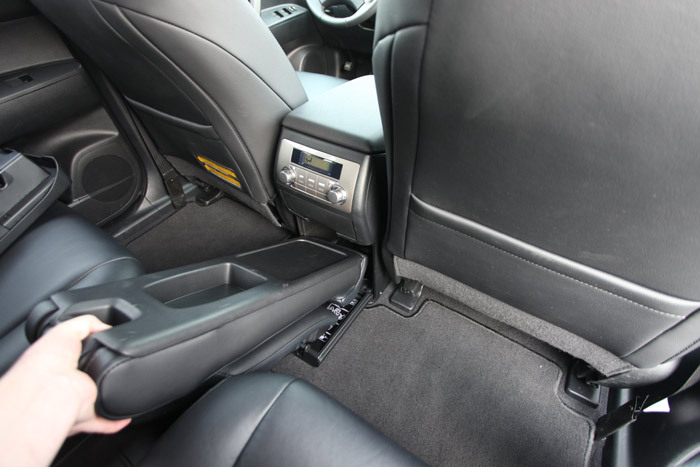 While the Highlander is not an off-road truck, it offers 8 inches of ground clearance. 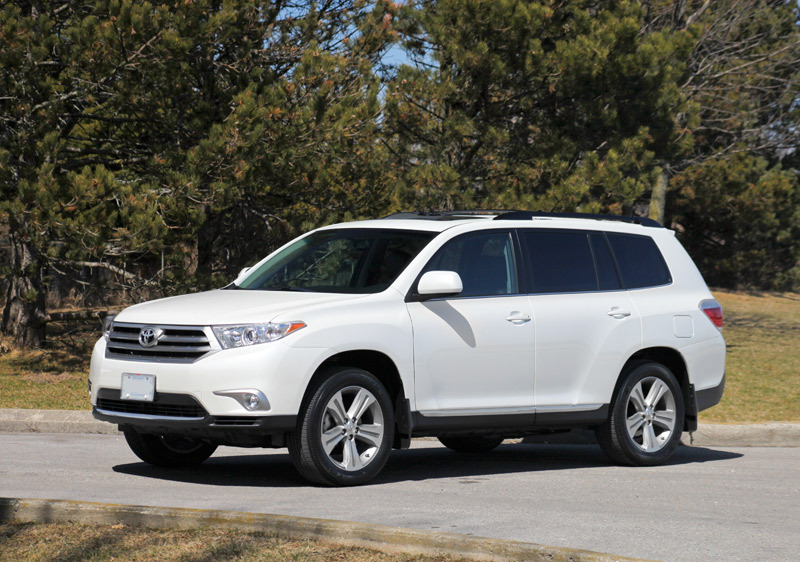 If equipped with the Towing Package, the V6 Highlander can tow up to 5,000 pounds. 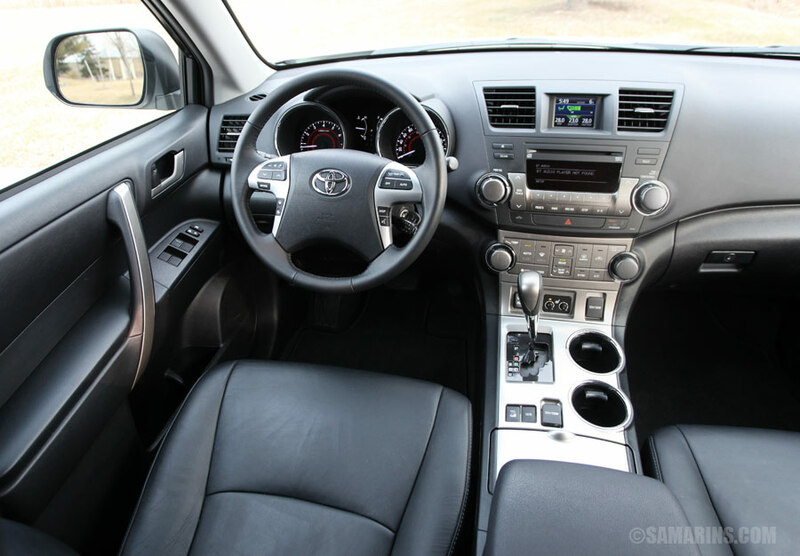 Is a used Toyota Highlander reliable? 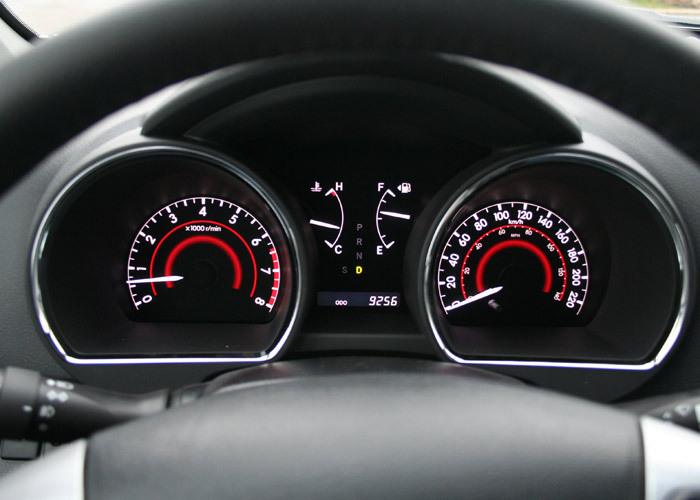 How is the fuel economy? What are the common complaints? Let's find out. 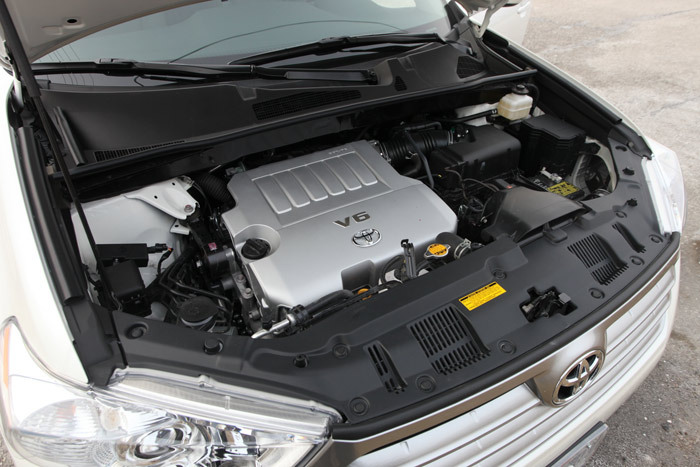 Engines: The Highlander comes with a 187-hp 2.7L 4-cylinder engine (FWD only) or 270-hp 3.5L DOHC V6. Both the V6 and 4-cylinder are proven durable, low-maintenance motors. 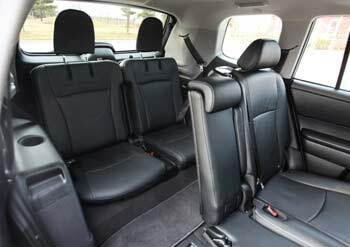 Interior In a 7-seat configuration, the 40/20/40 split second-row seat has a small "Center Stow" middle seat that can be removed and stored in the driver's centre console. The third-row seats are mostly suitable for the kids. 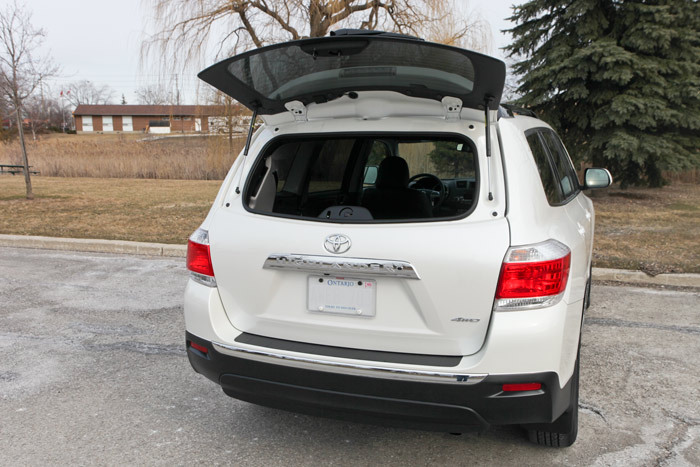 The liftgate glass opens separately in all but base models; power liftgate is available in top trims. Handling and Ride: The Highlander handles well but not sporty. The ride is smooth and very quiet. The steering is light. The soft suspension soaks bumps and road imperfections very well. 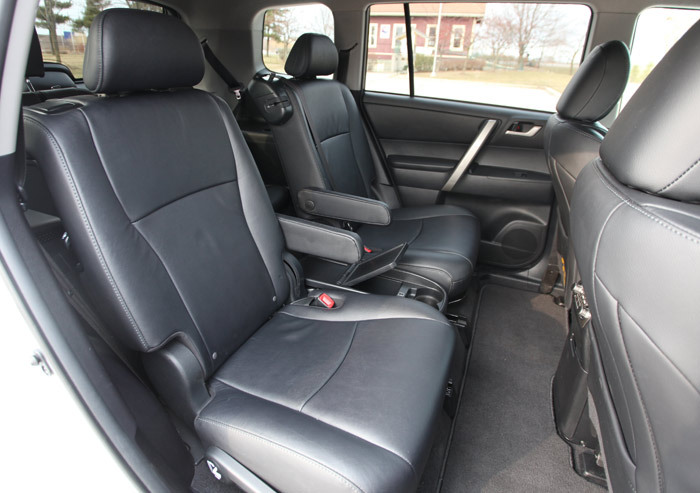 Overall, it's a very comfortable vehicle to drive whether around town, or on the highway. Safety: Antilock brakes and Vehicle Stability Control are standard. In the NHTSA crash tests, the 2008-2010 Highlander earned five stars for the driver and four stars for the front passenger in the frontal tests and five stars in the side-impact tests. In more stringent crash tests introduced for 2011, the 2011-2013 Highlander received four stars overall, with four stars for the front and five stars for the side-impact protection. Consumer reviews: We looked through hundreds of consumer reviews and the majority are positive. 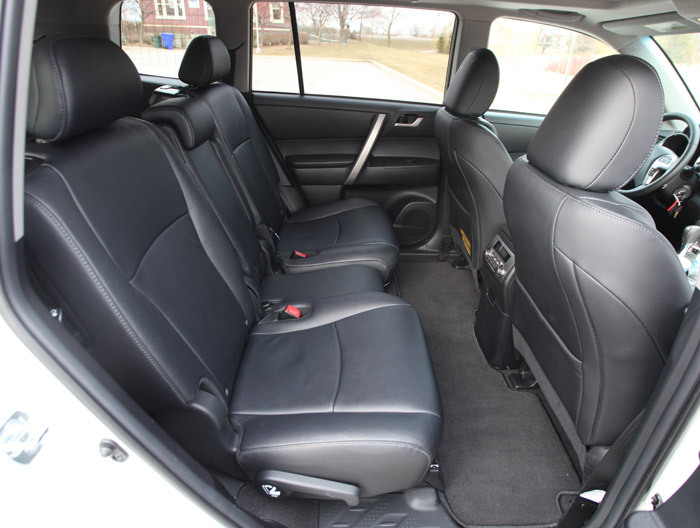 Many owners praise roominess, second-row space and car-like handling. Nearly all mentioned a very comfortable and quiet ride. Complaints include things like real-world mpg, material quality (some interior plastic feels hard) and cargo space with the third-row in use. Worth noting that the Highlander scored well in the owner's satisfaction survey conducted by the Consumer Reports. Fuel Economy: The 2008-2010 V6 automatic Highlander gets 17 mpg city and 23 mpg highway (13.8/10.2 L/100 km); the 2011-2013 V6 AWD Highlander is rated at 17/22 mpg (13.8/10.7 L/100 km) on regular gasoline. In our test drive of the 2013 V6 AWD Highlander we averaged 20.5 mpg (11.5 L/100 km) with 20% city, 80% highway use. Pros: Reliable, roomy interior, easy to use controls, comfortable ride, good visibility, decent gas mileage, liftgate glass opens separately, plenty of cup holders, cargo capacity with the seats down, adjustable seat heaters. Cons: Interior materials, limited cargo space with the third-row seat in place, the second-row middle seat is small and not very comfortable. 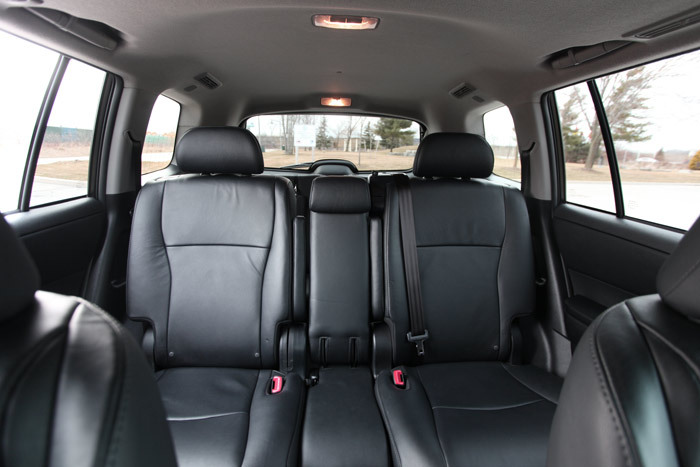 Competitors: If you can get past its boxy styling, the 2009-2012 Honda Pilot is very good. It seats 8 and is also reliable. The 2012 Pilot is rated at 17/24 mpg. The seven-seater Mazda CX-9 is more sporty but not as quiet. The 2012 AWD Mazda CX-9 gets 16/22 mpg city/highway. 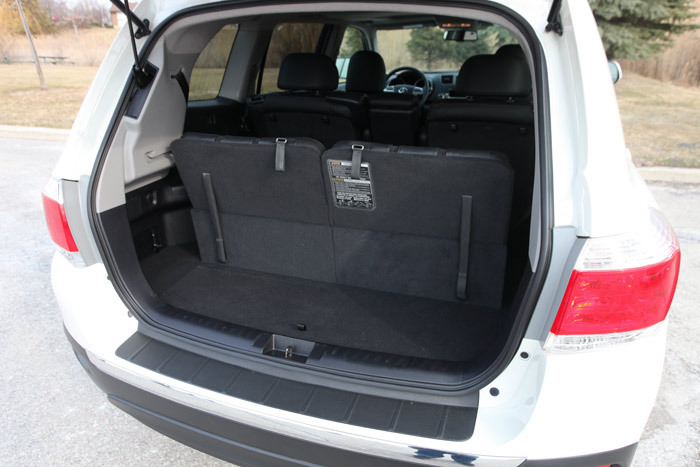 Chevrolet Traverse, as well as its siblings GMC Acadia and Buick Enclave, are very roomy and can seat up to 8 adults, however, the reliability is not as good. The 2012 AWD Chevrolet Traverse is rated at 16/23 mpg. 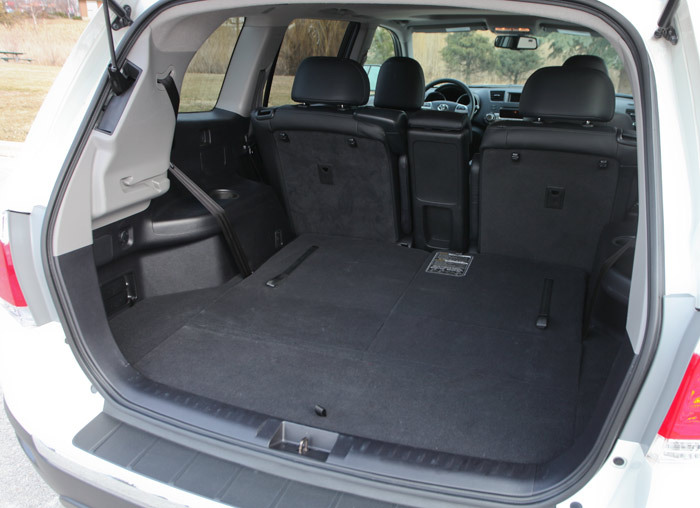 Subaru Tribeca handles very well and has a good all-wheel drive system, but the second- and third-row space is limited. The truck-based 2005-2012 Nissan Pathfinder is very thirsty and not as reliable. Acura MDX is more upscale and handles better, but it needs premium gasoline and is more expensive to maintain. The EPA rates the 2012 AWD Acura MDX at 15/20 mpg on premium gasoline. Reliability and common problems: The Highlander is one of the most reliable in its class. Consumer Reports rates the Highlander as a 'Good Bet'. There were some issues with leaking water pumps in early models, but other than that, reported problems are mostly minor. This forum is worth checking out if you want to know about common issues. Timing belt or chain: Both the 2.7L 4-cylinder and the 3.5L V6 Highlander engines have a timing chain; there is no timing belt. 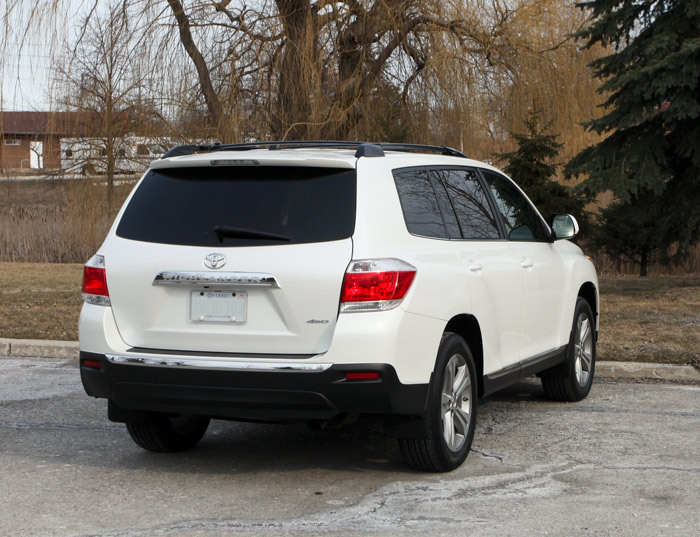 What to look for when buying a used Toyota Highlander: It might be a good idea to opt for 2009 or newer Highlander, as the first-year models always have more issues. Avoid the car if the engine rattles when started cold. Watch out for coolant/oil leaks in the engine compartment. Check if all the windows go up and down smoothly. Test the rear-passenger climate controls, see if the rear heater and air conditioner work properly. There should be no clunks felt in the steering. During the test drive, watch out for drivetrain noises, see if the transmission shifts smoothly. Have the vehicle properly inspected by an independent mechanic or used car inspector before buying; it can save you a lot of money.